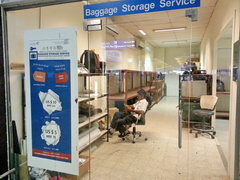 The main international Ibrahim Nasir International Airport airport is located in the neighborhood of the capital Male, on the neighboring island Hulhumale. 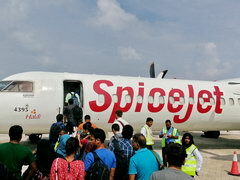 The main low cost airlines, whitch can take you to the Maldives is AirAsia and SpiceJet. 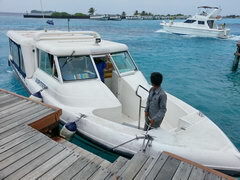 To the Male from the airport is possible to reach by speedboat, price 1,6 USD = 25 MVR time less than 10 minutes. 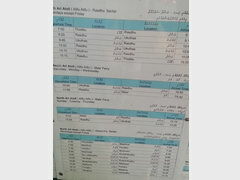 Alternatively, you first need to take a bus to Hulhumale for 1,3 USD = 20. 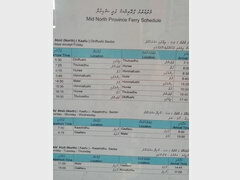 MVR and then a regular ferry for 0,36 USD = 5.5 MVR Bus departure with half-hour intervals. The bus stop is located on the left from the airport exit, about 50 meters along the promenade (the coordinates of 4.187784, 73.526361). Some luxury hotels have their own waiting rooms at the airport, as well as its own high-speed boats. 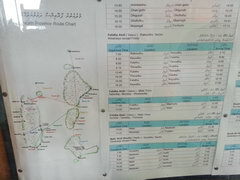 The cost of buses within islands Male and Hulhumale 0,19 USD = 3. 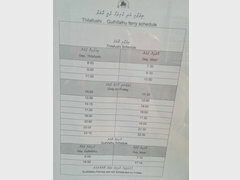 MVR hours from 6 am to 3 pm. Ferries, boats, all that floats is the main transportation in this island country. 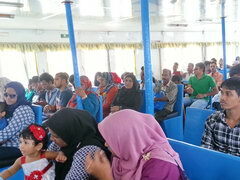 Ferry traffic is well established, and for a small fee you can get to remote atolls, but for a long time. 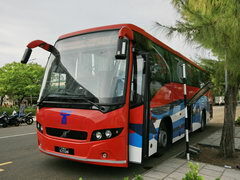 On the website atolltransfer.com you will find all the routes, timetables and prices sometimes. 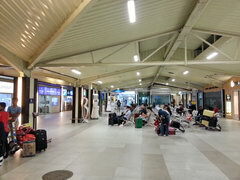 You can buy a ticket just before departure. 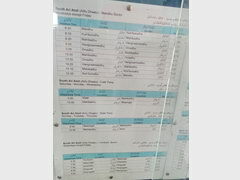 For example, the cost of the ferry ticket Male - Guraidhoo is 1,4 USD = 22. 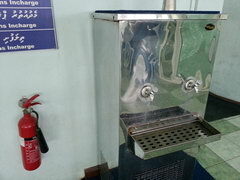 MVR It departure every day at 15.00, arriving to Guraidhoo at 17.25. Back at 7:00, arrives in Male at 9.15. In the port terminals there are always drinking water, so it is advantageous to have a bottle.